. 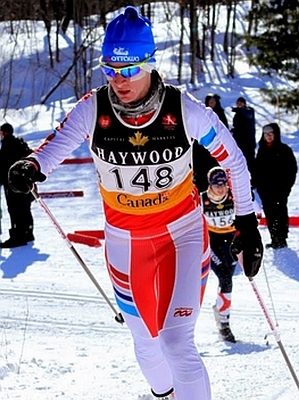 : Ingrid Hagberg :: Ski XCOttawa.ca :: Skiing in Ottawa and Gatineau Park :. I work as a food inspector, read too many books, and play bridge. Also a graduate of Carleton U in food science (2013). Won three medals for Carleton U in the team sprint at Nationals. No favourite, I enjoy all of them. Was a competitive swimmer for 8 years, specializing in the 50 back initially, but later moved towards 200 fly. Also have raced in running, track, open water swimming, and sailing. One of the few competitive skiers from Deep River, ON.